Το Yiwu Marriott Hotel είναι μια πολύ καλή επιλογή για τη διαμονή σας σε Γιβού, είτε είστε τουρίστας είτε επαγγελματίας. Από εδώ, οι επισκέπτες μπορούν να έχουν άμεση πρόσβαση σε όλα όσα η πόλη έχει να προσφέρει. Με την βολική του τοποθεσία, το ξενοδοχείο προσφέρει εύκολη πρόσβαση στους προορισμούς της πόλης που πρέπει οπωσδήποτε να δείτε. 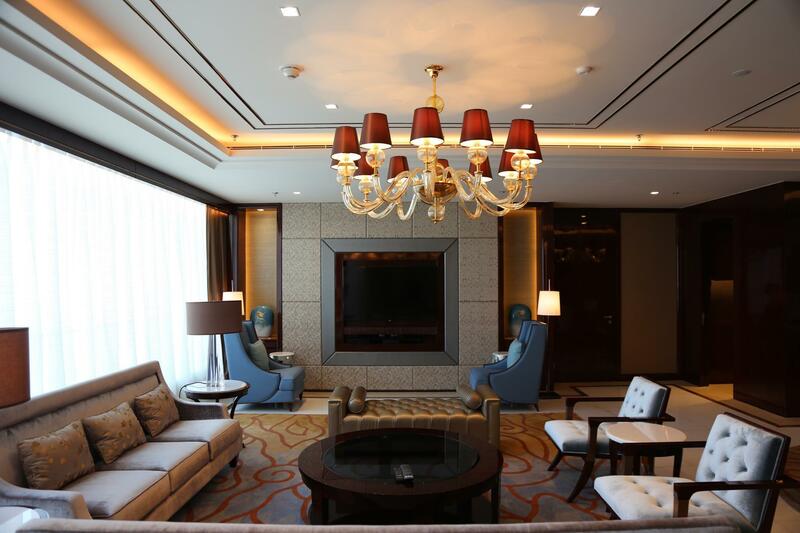 Στο Yiwu Marriott Hotel, πραγματοποιείται κάθε προσπάθεια για να αισθανθούν άνετα οι επισκέπτες. Για να το πετύχει αυτό, το ξενοδοχείο προσφέρει τις καλύτερες υπηρεσίες και ανέσεις. Αυτό το ξενοδοχείο προσφέρει πολυάριθμες εγκαταστάσεις για να ικανοποιήσει ακόμα και τους πιο απαιτητικούς πελάτες του. Ελάτε σε ένα από τα 281 φιλόξενα δωμάτια και ξεφύγετε από τα άγχη της ημέρας με μια ευρεία γκάμα ανέσεων, όπως επίπεδη τηλεόραση, επιπλέον μπάνιο, επιπλέον τουαλέτα, μοκέτα, καθρέφτης, που θα βρείτε σε ορισμένα από αυτά. Κατά τη διάρκεια της μέρας μπορείτε να απολαύσετε την χαλαρωτική ατμόσφαιρα των γυμναστήριο. 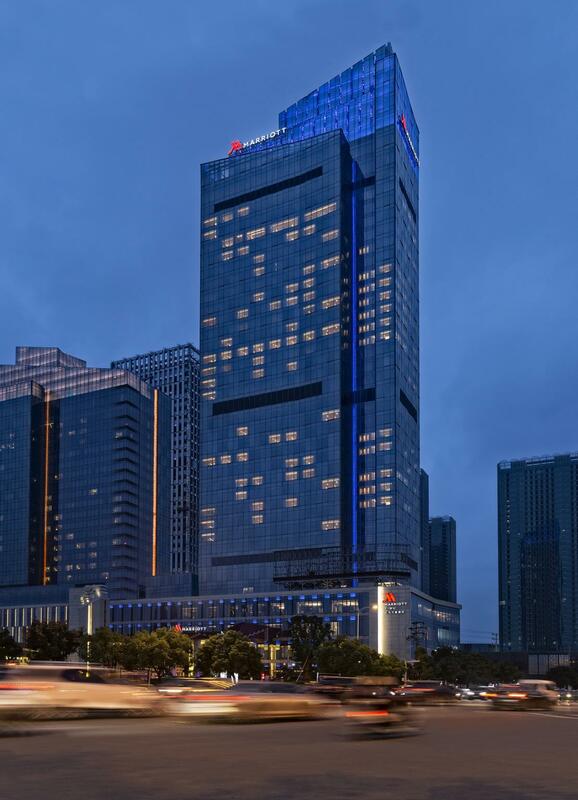 Το Yiwu Marriott Hotel είναι ο ένας και μοναδικός προορισμός για εσάς που ψάχνετε ποιοτικά καταλύματα στη Γιβού. Superb Rooms, but some facilities were not available maybe because it's still new. Dear guest, thank you for taking the time to share your valuable feedback with Yiwu Marriott Hotel. We are delighted to know that you enjoyed your stay with us and that our guestroom made your stay experience more memorable. We will continue to strive in delivering quality services, allowing our guests' to indulge in the best they deserve. Look forward to your next stay with us and continuous support in the near future. Nice hotel, very clean and comfortable with full range of amenities. Near to trade city, shopping mall is within walking distance. Thank you for your stay in Yiwu Marriott Hotel. 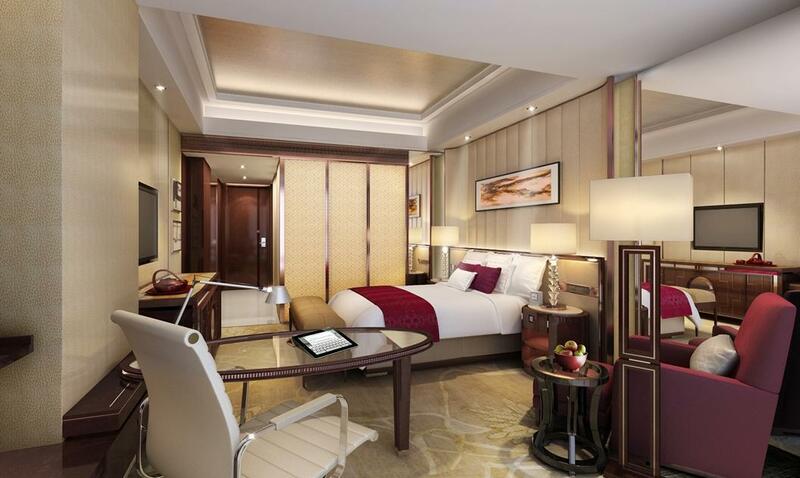 Hotel located in Yiwu CBD, the International Trade City and Wetland Park is nearby. We look forward to serving your next journey in our hotel. Dear Guest, Thank you for staying at the Yiwu Marriott Hotel and we hope to welcome you again soon whenever your travel needs bring you back to Yiwu. All the staff are exceptional friendly and helpful. A very pleasant stay. Dear guest, thank you for your stay in Yiwu Marriott Hotel. Thanks for your feedback and we are pleased to learn that you have enjoyed your stay and that we were able to provide you with a memorable experience . We hope to welcome you again soon whenever your travel needs bring you back to Yiwu. 1. Fantastic location 2. Helpful staff by the name of Henry assisted to get back a parcel from courier company 3. The daily breakfast really amazing! 4. Even stayed in Non-smoking level, but still got cigarette smell in the room. The Hotel have to look into this matter. Dear guest, thank you for your stay in Yiwu Marriott Hotel. We appreciated for your suggestion. It is helpful to us. We will follow it up and we are on the way of changing and improving the Internet qualities. We look forward to serving your next journey in our hotel. Wishing you have a pleasant day. 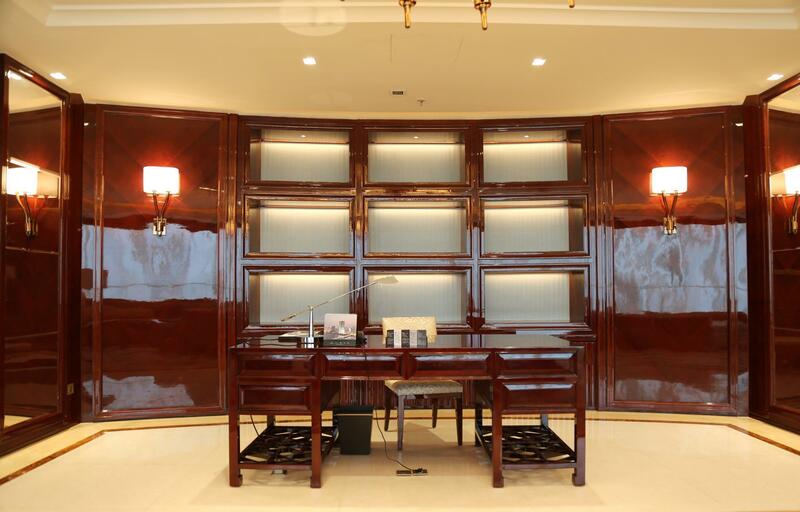 overall the best hotel on yiwu if you want to relax comfortably choose this hotel for your trip to this city. Dear Guest: Thank you for your stay in Yiwu Marriott Hotel. Hotel located in Yiwu CBD, the International Trade City and Wetland Park is nearby. We look forward to serving your next journey in our hotel. Amazing modern luxurious rooms. Being next to the new Glory Mall convenient for cinema, coffee and decent food options including Bosphorus in the basement. With this and the Shangrila nearby, Yiwu now feels like any of the larger modern cities. Kind of sad to lose the small town feeling but nice to have true 5 star luxury next to Futian. 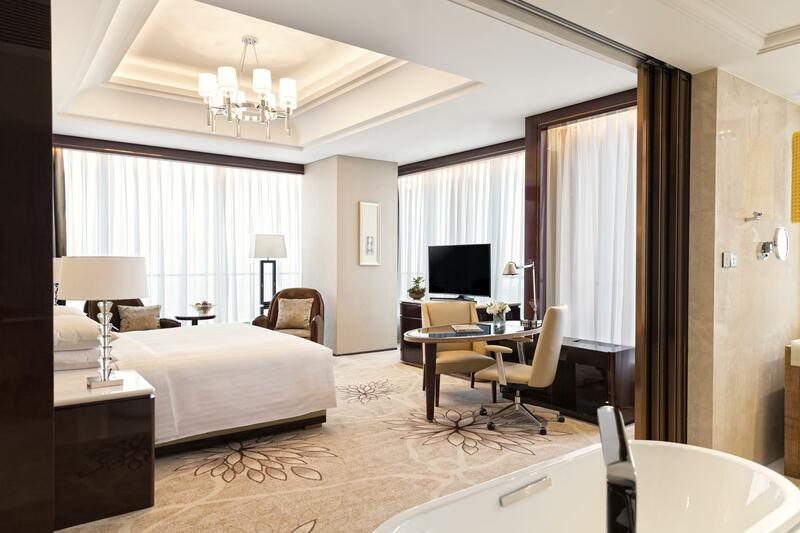 After the Yiwu Marriott I stayed at the ageing Marriott Guangzhou (China Hotel) and just felt soooo disappointed. Dear guest, Warm greeting from Yiwu Marriott Hotel.Thank you for your feedback and we are pleased to hear that you have enjoyed your stay and that we were able to provide you with a memorable experience. Our hotel is located in Yiwu CBD, the National AAAA Tourism Shopping Center-International Trade City and Wetland Park is nearby. Thank you for staying at the Yiwu Marriott Hotel and we hope to welcome you again soon whenever your travel needs bring you back to Yiwu. 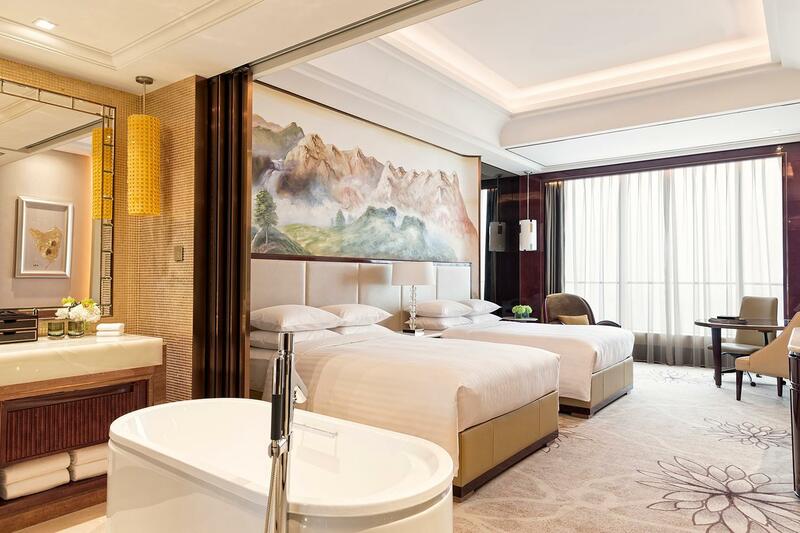 I have stayed at the Marriot Yiwu a few times before, the rooms are good, the food is good, service is good but the location is great for easy access to the Yiwu Trade Market. Unfortunately travelling for work the internet is very important. This trip i had very limited access to outlook emails for the whole week which was frustrating, downloading an attachment to an email was taking a full day. Otherwise a good hotel for a business trip. Dear Cima, thank you for taking the time to share your valuable feedback with Yiwu Marriott Hotel. We will take more training on our staff's English. Look forward to your next stay with us and continuous support in the near future. Loved it. Would definitely coming back again. Front desk staff were so friendly and willing to work extra mile e.g. get a mobile sim or train ticket on your behalf, however surcharge applies. Dear Mi, thank you for taking the time to share your valuable feedback with Yiwu Marriott Hotel. Look forward to your next stay with us and continuous support in the near future. Had very mixed reviews for our stay. While the hotel and many staff were very pleasant, there were occasions of poor service including over 70 minutes after order a bottle of wine to being told they had run out at the bar and having to pay 10rmb for 5 pieces of A4 paper from reception. However on balance the rets of the hotel staff and facilities made up for it. 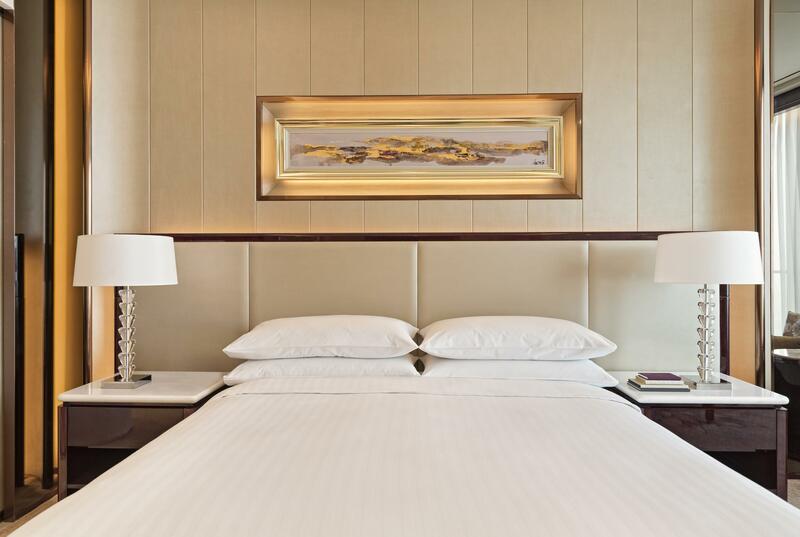 First time we had stayed at the Marriot in Yiwu and had very mixed experiences. The hotel and location are fantastic. We did experience very mixed service from staff including table bookings at the Chinese restaurant that had been given away despite arriving early (followed by various excuses and 35 minutes to cover this up and find a solution), ordering wine in the bar and the staff taking 1 hour to confirm it was out of stock and a front desk employee charging us 10rmb for 5 pieces of A4 paper. I would expect a lot more from a Marriot. Dear guest, thank you for taking the time to share your feedback regarding your recent stay with us at Yiwu Marriott Hotel. We are very glad to know that our staff and service helped in making your visit enjoyable. Meanwhile, we take our guest comments very seriously and always strive to provide comfortable and friendly accommodations.Thank you again for your feedback and support and we look forward to welcoming you back to Yiwu Marriott Hotel in the near future.